Given its pervasive use in journalism, marketing and professional papers focus on the call center industry, one is put under the impression that there exists a clear and mutually agreed upon definition for the term QA. However, upon scouring a number of websites and a few search engine inquiries, it becomes rather clear that this isn’t entirely the case. There are existing countless blogs and whitepapers that look into the benefits of call center quality control, but very few seem interested in defining the term before probing into it. Call Criteria, a reputable and reliable QA company, defines quality assurance as the grading component in quality monitoring. QA involves randomly selecting calls and measuring them against the set standard at the call center. QA measures key performance indicators such as how long it takes for a caller to reach an agent, how quickly a caller’s issue is resolved, and how long a caller is put on hold. Other quality issues include empathy with a customer who isn’t satisfied, agent courtesy, and the ability to follow procedures. Quality evaluation is only as good as the people doing the evaluation. What’s more, your QA specialist plays quite a critical role in your company. Setting acceptable levels of quality, motivating your employees and evaluating the performance and skills of every individual member of your team, QA professionals are quite synonymous with tightrope artists; they carry out all the mentioned tasks while balancing your business’ budget. With this in mind, you need to look for a QA company that has years of experience scoring calls and enough knowledge and ingenuity to help you understand the details of their operations. Companies like Call Criteria have provided countless call centers with accurate and affordable QA programs for years. In general, the study reinforced the importance of the emotional element of an employee’s commitment to a company as opposed to the financial aspect. Accordingly, as a manger, you need to reward high quality work through mechanisms such as creating an ‘Excellence wall’, giving awards for ‘Advisor of the month’ and certificates for ’employee of the month’. Despite the sophistication of today’s work places, it is amazing how far a simple pat on the back can go. Keep it confidential – Engage in whisper coaching, no agent likes to hear that they aren’t performing optimally. Sandwich negative feedback with positive feedback to increase the chances of your agents’ acting on your constructive criticism. Provide specific examples so that your employees understand exactly what it is that they are doing right, what needs improvement, and how to make it better. Role play using a recent interaction, with your employee as the customer and you as the agent. Once the agent understands what the appropriate response for the caller is, switch roles and have him/her practice their new skill before they hit the phones again. Discuss roadblocks to enhancing performance – In the same way you use your employees’ strengths to enhance their performance, you must also identify the roadblocks that prevent them from reaching their highest potential. Bad habits always start out as harmless and irrelevant. However, if you don’t root them out soon enough, they may end up spreading from one agent to another, affecting your entire call center. Besides, it’s the little things that always matter. With that said, you need to target micro-behaviors that are detrimental to the success of your business and change them. How do you do this? The best way to make such changes is through collaboratively coaching your agents and helping them see how the change will be beneficial to them. You also need to show them how they can make the change. Direct 6 agents per day to spare 5 minutes at most, before their shift starts, to review calls from the previous day. This keeps the feedback fresh in their mind and allows them to correct any mistakes made and to improve on their strengths as well. You can use customer feedback to improve call center quality control through traditional methods such as tying your quality scoring with the Net Promoter score or you could go ‘new school’ and use tactics like sharing great calls and customer props. With the latter, the agent who feels like they’ve really performed exceptionally can personally reach out to the customer and ask for their opinion on the call. The feedback is then shared with the management. You can also save such recordings so that they can be used as an example of what to follow for other agents. A customer prop on the other hand occurs when customers proactively reach out to management to thank an agent for exceptional performance. 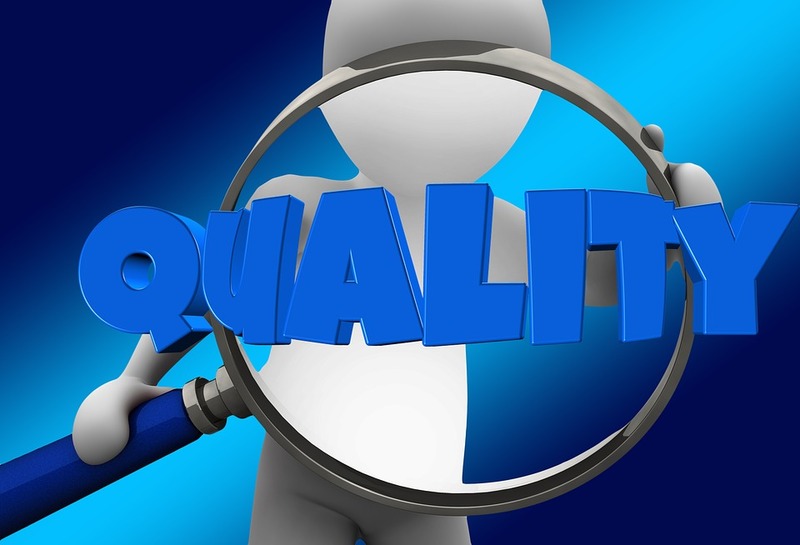 There are many benefits of outsourcing your quality assurance to a QA company. Not only do you get to improve the quality of customer experience, but you also get to save on cost. However, it is important to ensure that your employees are also on the same page. Hopefully, the above tips are comprehensive enough to help you improve your call center quality control.